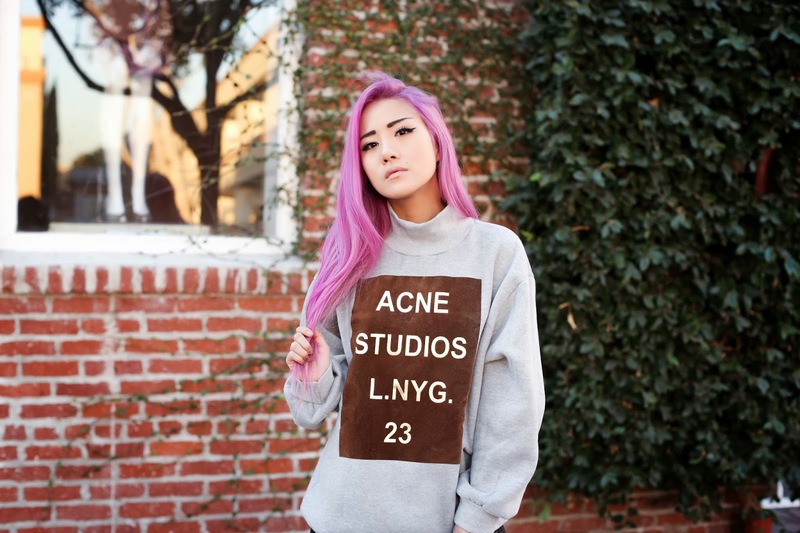 Acne sweater. Front Row Shop pants. Windsor Smith shoes via Solestruck. I channeled Japanese simplicity with muted, no-fuss clothing in unique cuts. The heather grey sweater could look like a normal athletic sweater, were it not for the turtleneck, brown felt panel, and gilded gold lettering. 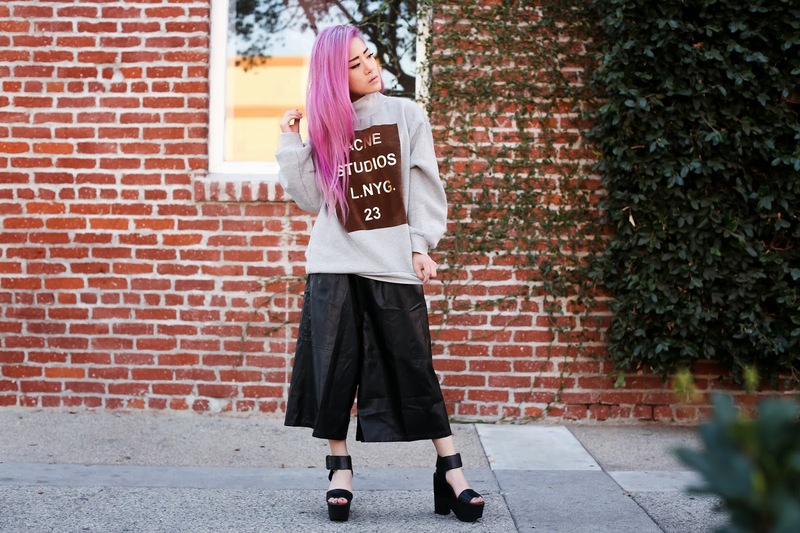 The leather gaucho pants almost look like a skirt until you see the tiny leg gap. I had to top everything off with these beautiful platform sandals; I got a better photo for you guys this time around so you could really see all the understated details that make them so perfect. cute outfit! I actually thought for a second that you got the actual jumper, those cost a fortune! I love those sandals. They're such a statement despite the minimalism. The hair, oh my the hair. Recently dyed mine cornflour blue, which faded to turquoise green, then dyed to purple and faded back to blue. Like evolving art. Was looking a pair of those pants in white (nothing's ever in my size though)! & I was also looking at those shoes in white yesterday! They look so comfy & I love how simple the look is without being boring. The oversized proportions are just right.